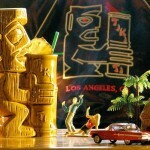 Don your fezzes and put on your Aloha shirts, the Tiki-Ti turns fifty years young this week! Thankfully, the acclaimed tiki drink oasis hasn’t changed much since it first opened in 1961: cash only; no reservations; no beer or wine; and, while you will never get a flaming drink at the Tiki-Ti, you can still smoke inside. “Customers in all these places couldn’t get enough of Ray’s mixing skills…but Ray couldn’t get the credit he deserved from his employers. So in 1961, instead of having others exploit his knowledge, Ray decided to exploit it for himself and open a bartending school. Four days of festivities begin on Wednesday at 4pm, and it won’t take long before someone orders a Ray’s Mistake, Tiki-Ti’s signature cocktail, made with “Super Secret Flavor, Botanic Liqueurs, Passion Fruit and Floated with Dark Corub Rum.” Ray’s Mistakes are $5 until 9pm, when Michael Buhen Sr. will ring a bell and lead everyone in a toast to his father, as he’s done every Wednesday since Ray Buhen passed away in 1999. Tiki-Ti Punch will be available all week for $5 a glass, until the punch runs out each day. In addition to the 90-plus drinks on the regular menu, there’s also the Tiki-Ti Advanced Menu, featuring off-menu drinks like the Sweet Tart, Fresh Squeezed, and Grand Mai Tai. The actual anniversary is on Thursday, and the Flatiron Truck will be there to help soak up the Navy Grogs and Zombies with a Tahitian-inspired menu, featuring Poisson Cru and free Coconut Cupcakes for the first 300 guests. 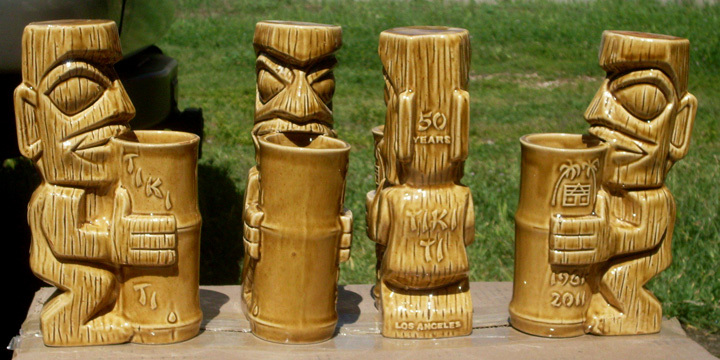 To mark the occasion, Sven Kirsten has designed a gorgeous 50th Anniversary Tiki-Ti mug, available for $35. Only 200 mugs will be on sale at the bar this week (50 per night for 4 nights), but more mugs are expected to arrive around the first week of May. Other anniversary items include caps, beanies, jackets (pre-orders only), coconut cups and fezzes, as well as prints and originals by artist Miles Thompson. Word is that Beachbum Berry, Sven Kirsten and Martin Cate (Smuggler’s Cove) will be dropping by the Tiki-Ti to celebrate the anniversary. 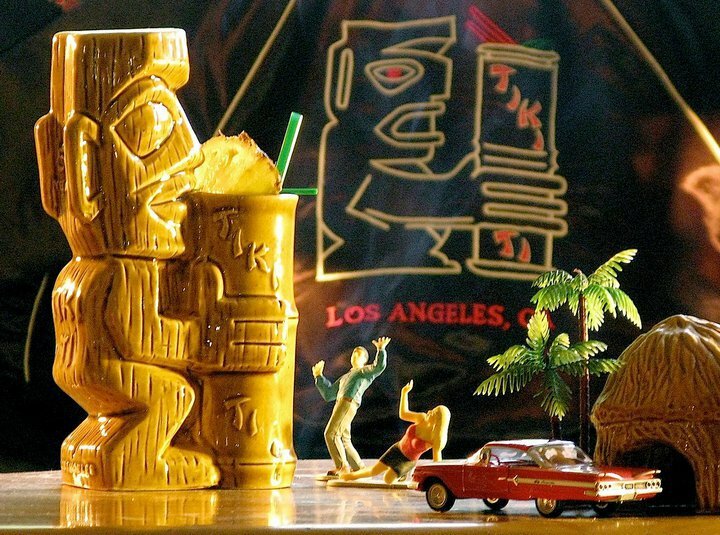 Tikiphiles, cocktail enthusiasts and my fellow Angelenos, let’s join these luminaries and raise a glass to the Buhen family, and to another fifty years of the Tiki-Ti! For more about the 50th Anniversary celebration, including ordering info and photos of the commemorative items, please visit the Tiki-Ti Facebook page.